January 3, 2017 – Tucked away in Hampton, Virginia, is a 56-year-old NASA wind tunnel capable of generating winds speeds of up to 900 miles per hour. In its lifetime, the Transonic Dynamics Tunnel has hosted hundreds of NASA projects, recently welcoming its latest guest, a 10-foot model of the world’s most powerful rocket, the Space Launch System (SLS). Piatak compared the unsteady wind to a road trip. Imagine traveling down the highway at about 70 mph on a perfect day. You put your hand out the window, feeling the pressure of wind upon your skin. Move it behind the side view mirror and you’ll find spots that create an unsteady, oscillating flow of air that shakes, or buffets, your hand. At faster speeds, you may struggle to hold your hand still. Rockets, like your hand, experience a similar type of buffeting except at speeds of up to 800 mph. Understanding how the rocket may behave when hit with unsteady wind and pressures is left up to the rocket scientists at NASA. A team of Langley wind tunnel experts installed 446 miniature microphones on the SLS model to understand the rocket’s behavior in Earth’s thick lower atmosphere. “The data is recorded using high-speed data acquisition computers and ultimately used as input to a structural computer model of SLS to determine how aerodynamic unsteadiness shakes the rocket during flight,” Piatak said. For Piatak, being a part of a grander mission makes his job worthwhile. 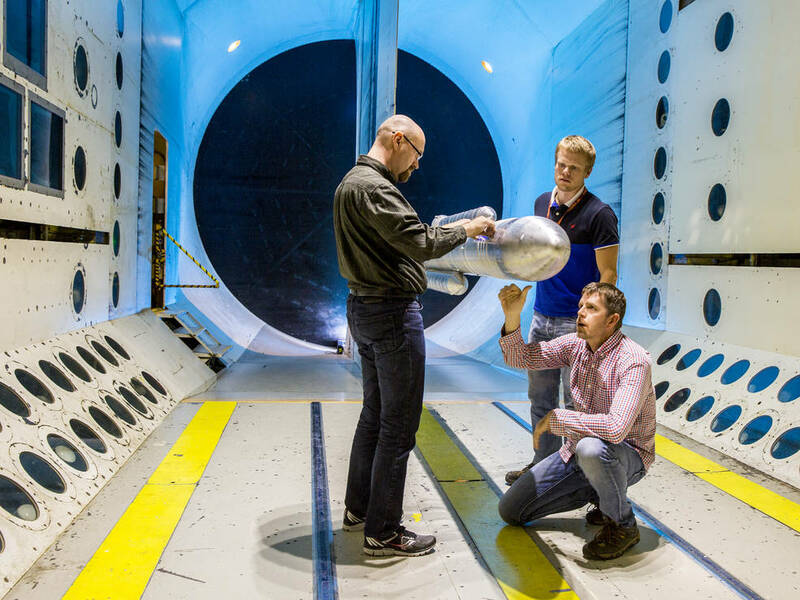 This is just the beginning for Langley SLS wind tunnel tests. Throughout the next year different versions and configurations of the rocket will undergo unique testing at NASA facilities.